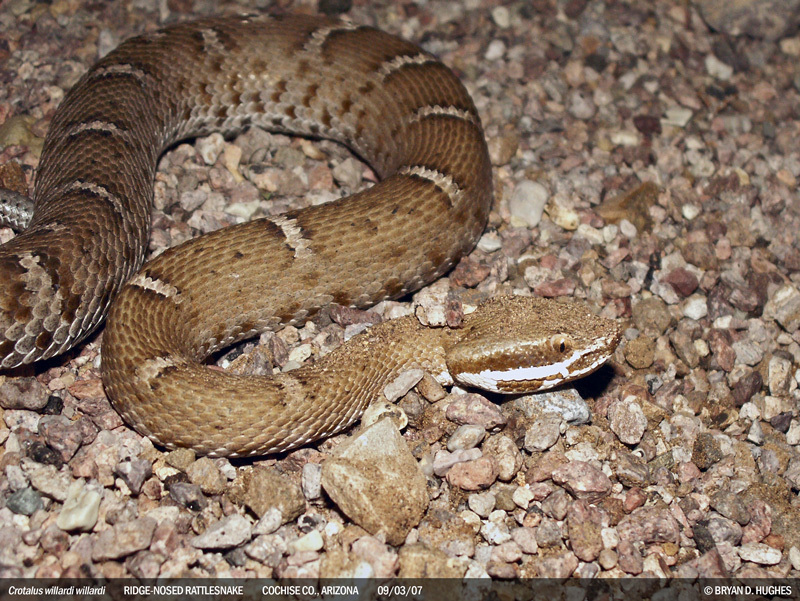 This was unfortunate … the first Arizona Ridge-Nosed Rattlesnake, Crotalus willardi, I ever saw was just hit by a car and slowly dying. I took a bad photo of the undamaged end and left it to let things run their course. This entry was posted on Monday, August 2nd, 2010 at 5:34 pm	and is filed under Field Herping, Personal. You can follow any responses to this entry through the RSS 2.0 feed. You can leave a response, or trackback from your own site.